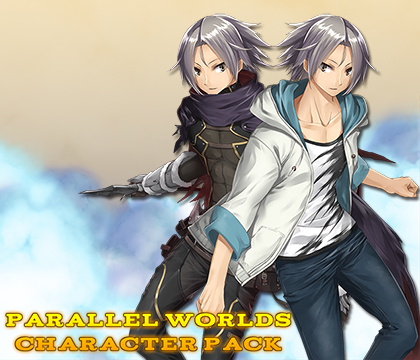 Parallel Worlds Character Pack| RPG Maker | Create Your Own Game! From the creators of Fantasy Heroine Character pack comes another set of fantastic heroes. Modern world and fantasy collide in Parallel Worlds character pack! This hefty set includes all the graphics you'll need to create a full party of male heroes (or villains!) for your RPG Maker projects. From walking sprites to faces with emotions and portrait busts, Parallel Worlds is your go-to hero set and a great addition to your growing library of RPG Maker MV resources. 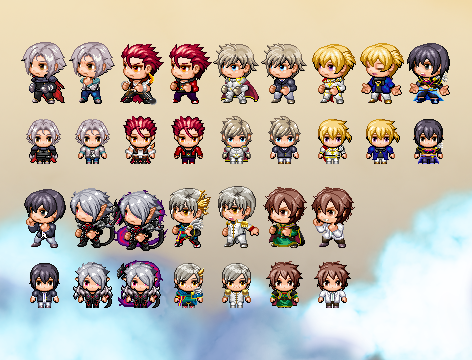 8 unique characters, with a modern and fantasy outfit for a total of 16 characters. Matching walking sprites, static front-view actor enemies and animated side-view actors. Facesets and portrait busts with emotion expressions.